For online or overseas purchases, please order from our publisher's website, www.Scotdisc.co.uk. Recorded live in the wonderful acoustic of St.Andrew’s Metropolitan Cathedral, Glasgow. This recording marks the 30th. Anniversary of St.Andrew’s Hospice, Airdrie and raises awareness of their Capital Appeal for £9 million pounds to rebuild the hospice to meet the needs of the modern era. 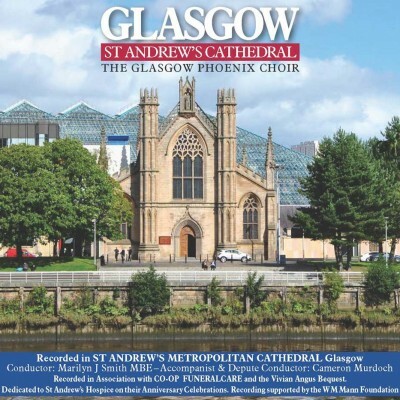 Proceeds from the sale of this CD will benefit both St.Andrew’s Hospice and St.Andrew’s Cathedral. 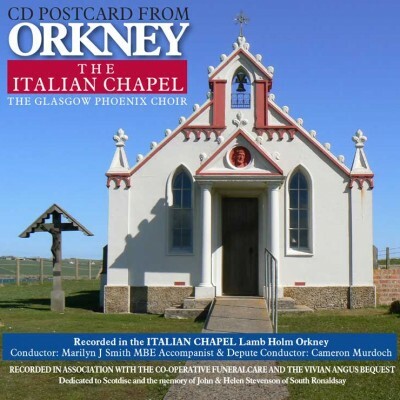 Recorded in the Italian Chapel on the island of Lamb Holm in Orkney, proceeds from the sale of this CD will go towards the upkeep and maintenance of this remarkable building. 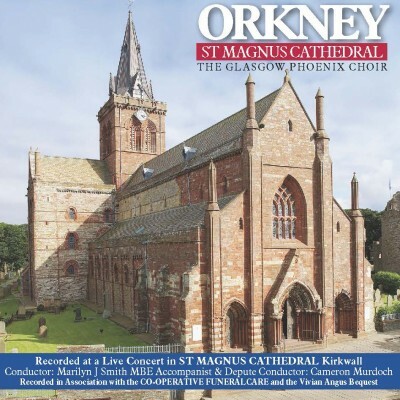 Recorded live in front of a large and appreciative audience in the historic St Magnus Cathedral, Kirkwall in Orkney. The choir were delighted to be able to make the long journey to Orkney and receive permission to both perform and record in this historic cathedral. The choir of 70 singers had the opportunity to sing with the magnificent Organ and sounded uplifting in the special acoustic of St Magnus. 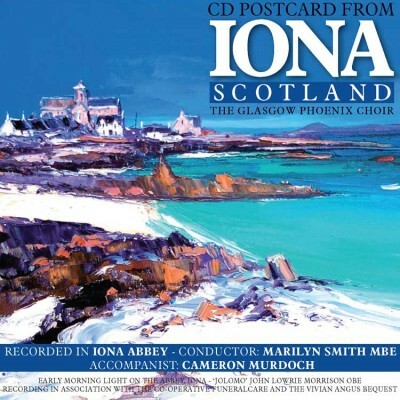 This recording is the latest in a new series of recordings that continue to mark the now 118 years of choral excellence – 68 years of the Glasgow Phoenix Choir and 50 years of its predecessor The Glasgow Orpheus Choir. The recording was made possible thanks to the generous support of Co-Op Funeralcare and The Vivian Angus Bequest. 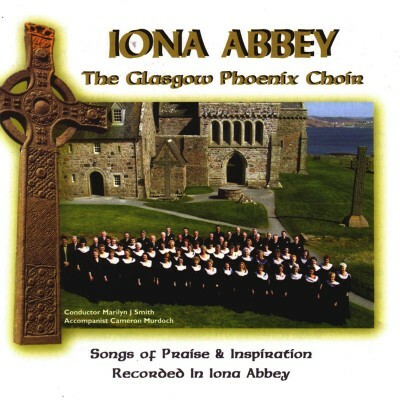 Recorded live in front of an international audience in historic Iona Abbey. The stormy weather raging outside adds to the unique atmospheric quality of a memorable Sunday afternoon as the howling wind can be heard throughout the fabric of the building. Visiting one of the holiest places in Scotland on the wildest edge of Europe, this Diamond Jubilee recording marks 110 years of choral excellence – 60 years of the Glasgow Phoenix Choir and 50 years of its predecessor the Glasgow Orpheus Choir. 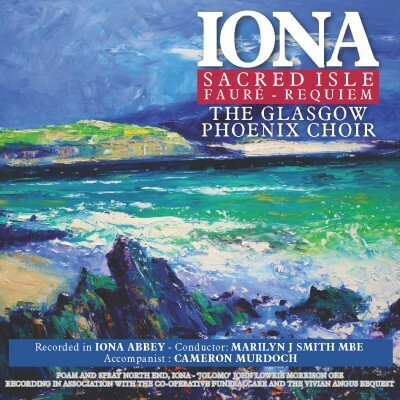 Recorded live in front an international audience in Iona Abbey, on Sunday 29th May 2011, in one long take. The stormy winds outside provided various howls and whistles in the fabric of the building heard throughout the recording. Visiting one of the holiest places in Scotland, on the wildest edge of Europe, these Diamond Jubilee recordings mark 110 years of choral excellence – 60 years of the Glasgow Phoenix Choir and 50 years of its predecessor the Glasgow Orpheus Choir. This recording was made possible thanks to the support of Co-op Funeralcare and the Vivian Angus Bequest. This recording, the choir’s 34th and made in conjunction with The Co-operative Funeralcare Band, was inspired by the sensitive work of Co-op Funeralcare in seeking to source a CD of music that could bring solace and comfort to many. The choir would like to acknowledge the input, support and encouragement of the staff at Co-op Funeralcare who made this CD possible. Co-op Funeralcare uniquely sponsors both band and choir and is dedicated to serving communities throughout the United Kingdom. The choir has been very fortunate to be able to record live in Rosslyn Chapel, famous for its links to the Knights Templar and featured in the novel “The Da Vinci Code”. This album, the 33rd, was released in October 2006. The varied programme includes songs of inspiration and songs of praise. Sing No Sad Song for Me Douglas E Wagner/C Rossetti, Santa Barbara Music Pub. 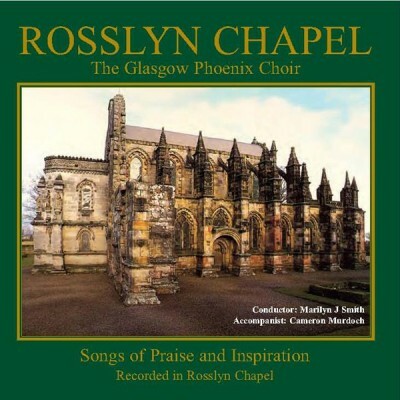 The Glasgow Phoenix Choir is proud to share this selection of music that has been specially chosen to provide comfort and solace. The tracks have been selected by Co-op Funeralcare from its most requested pieces of music. The choir is delighted to present these Songs of Solace together with its guests The Co-op Funeralcare band. This recording is enjoyable in its entirety or may include that special piece which is important to you or a loved one. This Christmas recording celebrates 110 years of choral excellence; 60 years of the Glasgow Phoenix Choir and 50 years of our illustrious predecessors, the Glasgow Orpheus Choir. Performing with our guests, The Co-op Funeralcare Band, in our Diamond Jubilee Year, this CD is enjoyable in its entirety and may include that special piece that is important to you or a loved one.